Are you looking for a good beach book that isn’t trashy? 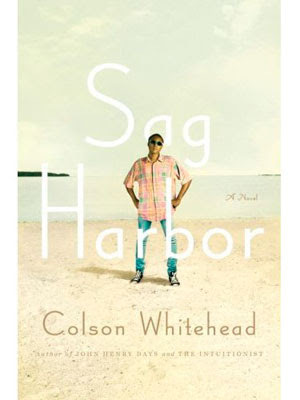 Sag Harbor by Colson Whitehead is a coming of age story set in a real African American beach community on Long Island. Whitehead describes it as an imperfect Utopia for youths in search of their black identity. Whitehead’s humor offsets the racial tension of his 1980s narrative. The central characters are teenaged boys whose parents were the first generation to go to college. These doctors and lawyers send their children to private school in New York City. Their kids work hard to fit in with their white, privileged classmates, but they also crave a black identity and street cred. Only during the summer can these boys hang out together and be themselves or the selves they believe they should be. They play with B.B. guns and talk tough, imitating gang members. This would horrify their mothers, but the parents are working in the city on weekdays. It’s all fun and games until someone gets hurt…. Whitehead’s story really hit home to me. I’m two years older than the author. We both grew up in Manhattan and went to the same college. My friends and I danced at the NYC clubs mentioned in the novel. The landscape Whitehead describes is familiar even if we didn’t cross paths. 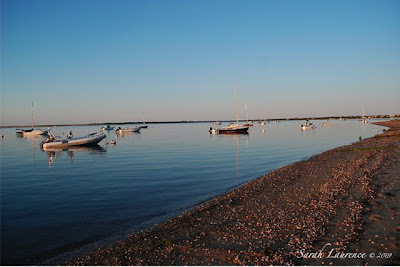 I started reading Sag Harbor on the ferry to Nantucket Island (featured in the photos) and finished it on a harborside beach. I love when my reading material matches my setting, but Nantucket is the opposite of Sag Harbor: near relentlessly white except for the seasonal domestic employees from the Caribbean and a handful of other families. I had to resort to fictional diversity. but I'll catch up with you soon. I've seen other great reviews of this and will look for it. Such beautiful pictures! Now I'm really missing Maine! sounds like an interesting read, and the pictures were very restful. I have seen this book and wondered. Thanks for the review! Is it still summer in Maine? Glad you got something out of the book even if you didn't love every word. 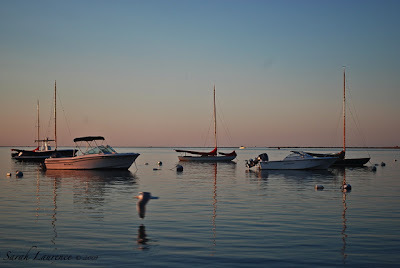 Your photos of Nantucket are spectacular! I'd love to go there some day. Enjoy. Excellent review about a book that touches upon an issue that will never go away, black president notwithstanding. Many thanks for your honesty (I hope you have recovered your compact form after having melted from boredom). Hi Sarah, what a wonderful post, really great and kept me hooked for ages!I would love to visit Maine, you are very lucky where you live. OOOOh before i forget to tell you...I finally finished Olive Kitteridge the other day, it wasn't my usual style of book and i found Olive herself really hard to connect with as a character but saying that she did grow on me and i found the ending very satisfying as a read.....it surprised me, i wouldnt want to sit down and read it again however but im glad thatb i read it that once. Wow! The photos are beautiful! enJOY your day! Sarah, your boat pictures are so peaceful. I want to sit on that beach and watch the sun set. "A good beach book that isn't trashy" sounds intriguing. I will definitely put this on my to-read list! Thanks for the review and for the beautiful pictures. As always a great post! Thanks for a brilliant review.. the pictures are fantastic! I read in the newspaper that people tend to get happier as they get older. (I'm sure there were provisos attached, but they were suggesting that the identity struggles of youth bog us down emotionally.) I thought of it again as I read your review, and wonder if any of the stories in Whitehead's novel give a sense of how he ultimately reconciled the different influences in his life? Your incredibly serene pictures offset the emotional turmoil of adolescence in an interesting way! Much of my understanding of race comes from watching American films on HBO. I happened to see Rosewood recently. And Driving Miss Daisy is among my favourites. It must be difficult to 'fit in' and yet not to be seen to do so out on the street among those of one's own 'kind'. The pictures are soothing. It's as if nature melted over the sea. Pattinase, it was the review in the NYT that tempted me to pick up the book in an independent bookstore. Tina and Keri, thank you. Troutbirder, beach books are good even without the beach. Pamela, it is FINALLY summer in Maine. After 2 MONTHS of rain, the sun is shining. Linda, I enjoyed the book overall, but I always read critically. 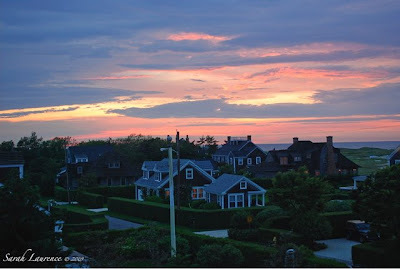 Nantucket is really this gorgeous. ACIL, race continues to be an issue in the USA, but having a black president does at least show progress. Sag Harbor was mostly enjoyable despite TMI ice cream scooping. Gemma, I’m so happy to hear that you read and got something out of Olive Kitteridge. I don’t think you were meant to like Olive, only empathize with her. An author who allows us to understand an unappealing character is very skilled. JAPRA, it was a peaceful moment and one I was happy to capture and share. Rose, I’ll be curious to hear what you think of it. Barrie, the talented author does speak for himself. Tracy and Fifi, thank you. Cynthia, the absence of sound was peace itself. Bee, interesting observation. I do feel happier with my life as I age. It’s not that it’s better being older (my knees would argue otherwise), but more like I’ve gotten a better sense of what I want and closer to achieving it. I would have liked to hear more about Whitehead’s personal story. Whitehead’s prose also showed this contrast between natural beauty and emotional turmoil. Definitely worth reading. This book really interests me. I always find the complexities of culture and identity fascinating. I will pick this one up immediately! Thanks for the recommend. Great pictures. Hope you had a great time! Alyson, sounds like your type of book then. We had a lovely time on Nantucket, thanks. Mama Shujaa, I’d love to know what you thought of this novel. Once you find reading time….